Gone are the days of wrestling to keep blankets on babies while they sleep and thank goodness for that! 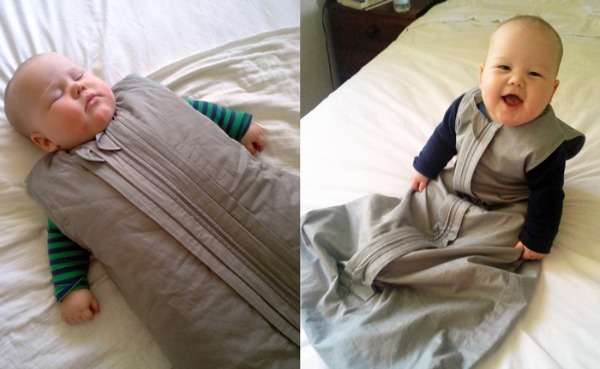 Sleeping bags are quickly replacing the cot blanket as a safer and smarter alternative and the 365 Sleepybag is the cream of the crop. 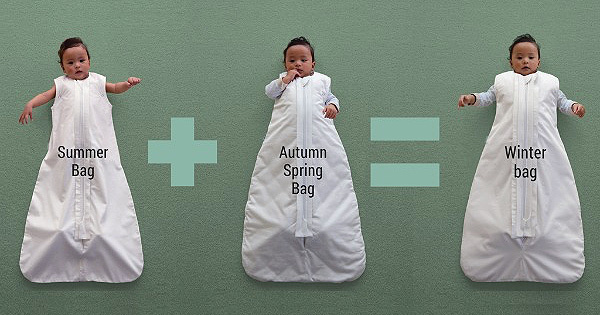 Available in limestone grey and snow white, these sleeping bags may not be the brightest accessory in your baby’s nursery but they sure will be the most practical – and if it results in uninterrupted sleep for you both than all is forgiven. Made entirely of 100 per cent GOTS certified organic cotton, the 365 Sleepybag is a soon-to-be launched product by The Sleepy Company. It is available in two sizes (3-24 months and 2-4 years) with a lighter Summer bag for warm nights and a heavier Autumn/Spring bag for cool nights. When it is downright cold, you can layer the two Tog rated bags to keep the perfect sleeping temperature. The 365 Sleepybag has a long list of features that won me over and is sure to get the tick of approval from even the most discerning parent. It is completely smooth on the inside to prevent irritation and increase comfort for the child. The zip is at the front and zips downwards so parents are reminded to sleep their child on their back, they can change nappies easily and cunning, wiggly babies can’t escape from the bag. They have even ensured the neck is fitted so the baby’s head can’t slip into the bag and the sleeveless design reduces the risk of overheating and SIDS. During winter, the thin summer bag can be used on the inside as a liner for sweat and soiling or on the outside if you have a drooler or baby with reflux. This means less frequent washing and drying of the thicker bags. If you as impressed as I am then you might consider pledging your support through their Kickstarter campaign. Running until November 15, The Sleepy Company is looking to raise $30,000 so they can begin production on their highly acclaimed sleepybags straightaway. Due to hit the market in February, 2015, the 365 Sleepybag will retail for $160. The Sleepy Company is offering a special deal to the first 250 people who back their Kickstarter project. With a pledge of $120, you can receive your own 365 Sleepybag at 25 per cent off the retail price, and it will be delivered to you – anywhere in the world – free in January 2015. Read more about the bag on their website or pre-order with a pledge through Kickstarter.